Whoa! It's been a little since we posted anything so here is a quick update on what's happening in SW Montana and in Yellowstone National Park! The National Park opener was great. Lots of anglers out but lots of fish to be had. The Madison, Firehole and Gibbon were the places to be. Since then the firehole has warmed up and fishing has slowed. The Madison and Gibbon are still doing ok. Angler's have been finding good action on some of the smaller creeks like Obsidian and Blacktail Deer crk. The small alpine lakes are also good options right now! 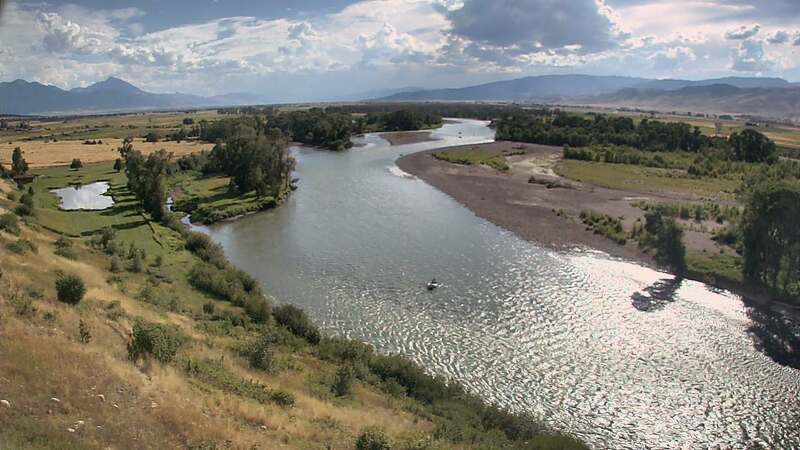 We have heard that the Yellowstone River itself is clearing on the upper stretches towards Tower/Roosevelt. Careful wading here but buggers and Stonefly nymphs are a good bet! The Yellowstone River outside the park is high and muddy still. It seems to be on the drop though and we may see fishable water soon! The flows on the Upper Madison has been fluctuating and muddy tributaries have made fishing inconsistent. Flows on the Lower Madison have been more consistent but water temps have hit 70 degrees the last two days. Not great for the trout. Cooler weather in the forecast should help out. The Missouri River has been the go to for most. Flows are in the 5000 cfs range. PMD nymph action along with the Marabou Rubberlegs nymph has been pretty good with the occasional pod of rising fish. Trout are eating the Wire Worm up there too once you get below the Dearborn river which is pumping in mud. The Spring Creeks here in the valley have had some decent action lately. Angler's have spotted the occasional PMD but no major hatches to speak of yet. Most of the fish are being caught subsurface on small PMD and midge nymphs. One great option is Story Lake right here in Paradise Valley. Early morning has been very productive with Callibaetis nymphs. You will even get the occasional fish to eat a spinner or adult near the reeds. After it warms up you have to go deeper in the water column with callibaeits nymphs and chironomids (black). There it is. We'll keep you updated on the Yellowstone. May not be long now!